Cleophus Thomas, Jr. was born on June 20, 1956, to Mr. and Mrs. Cleophus Thomas, Sr. He was educated in the public schools of Anniston, Alabama. He graduated with honors from Anniston High School in 1973. He attended the University of Alabama where he was elected President of the Student Government Association and received the Sullivan Award for being the outstanding senior man. He graduated with honors from the University of Alabama in 1977. He received the George C. Marshall Scholarship to Oxford University, Oxford, England, and was awarded a B.A. degree in Philosophy, Politics and Economics from Oxford in 1980. He received his law degree from Harvard Law School in 1982, and served as law clerk to U.S. District Judge J. Foy Guin from 1982-83. He is a practicing lawyer. He served as the Distinguished Practioner-in-Residence at the University of Alabama Law School for the Spring Term of 1996. He is a Fellow of both the Alabama Bar Foundation and the American Bar Foundation. Thomas has served on numerous corporate and civic boards. His past service includes membership on the boards of AmSouth Bancorporation and AmSouth Bank Board; Protective Industrial Investment Company (which offered a variable annuity/mutual fund product of Protective Life which was managed by Goldman and Sachs Asset Management); the Birmingham Museum of Art; Alabama Humanities Foundation; Alabama School of Fine Arts. He is past chairman of the board of The Donoho School and past president of the Kappa Alpha Psi Foundation. He was director and treasurer of the Southern Regional Council. He was a member of the Board of Directors of the Lillian E. Smith Foundation in Clayton, Georgia. He is a member of the First Missionary Baptist Church of Anniston, Alabama, where he is Superintendent of Sunday School. 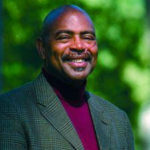 Mr. Thomas has received the Guy L. Grant award and the Elder Watson Diggs award from Kappa Alpha Psi Fraternity; the Summersell Award from the University of Alabama; the Betty Carr Service to Youth award from the Anniston YMCA; and the Distinguished Service Award from Tuskegee University where he delivered the commencement address in August, 2002. He is Trustee Emeritus of the Board of Trustees of the University of Alabama System on which he served for nineteen (19) years. He is married to the former Carla Ann Newbern, a medical doctor. They have three children: two sons, Cleophus Thomas III, Caleb Spratling Thomas, and a daughter, Phillips Newbern Thomas,. Mr. Thomas resides with his family in Anniston, Alabama.